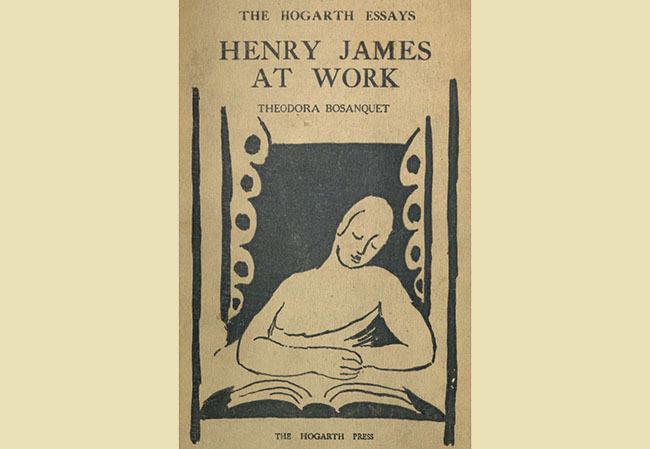 Cover of Henry James at Work, 1924; cover art by Vanessa Bell. Published by Virginia and Leonard Woolf’s Hogarth Press as the third of The Hogarth Essays, it was the only one of the thirty-five pamphlets to be hand-printed by the Woolfs themselves. Image courtesy of J. Willard Marriott Library, University of Utah. During the last eight years of his life, James worked with Bosanquet on a variety of projects: the New York Edition of his collected works, for which he wholly revised many of the novels and stories published before 1890; the five stories collected as The Finer Grain; several plays, including the comedy The High End (adapted from his story “Covering End,” itself a reworking of an unproduced one-act play); his final novel, The Outcry, which was originally written as a play; his unfinished novels The Ivory Tower and The Sense of the Past; and—above all—his memoirs A Small Boy and Others, Notes of a Son and Brother, and the unfinished The Middle Years. And even after his death, she helped with the preparation of James’s posthumously published writings and the production of a two-volume collection of his letters edited by Percy Lubbock. I have read your articles (which I send back separately—) with great interest. . . . [We] think your idea of combining the different articles a very good one. Would it be possible to begin by giving your personal memories, which would be of the highest value as there is no account I think of his methods during his later period, and so on with criticism of the novels themselves? I think your essay is a great success, and I'm glad you did not keep it to tinker at, for I think you have suggested everything, and further work might well have spoilt it. As it is, you have got an immense deal into it, and made it come together perfectly as a whole. . . . I am sure it ought to have a success with anyone who cared for Henry James and his work, and I think we are very lucky to get it. 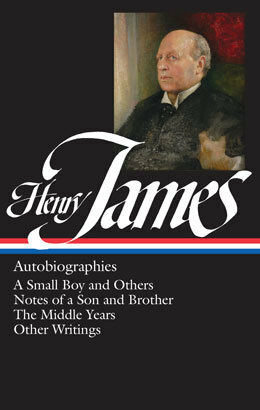 Since its appearance, the booklet has indeed been treated with high regard by James biographers and scholars, who recognize it not merely as a recollection of how she met and then worked with James but also as a discerning assessment (and defense) of how he developed a more mature style and aesthetic. Although the original pamphlet is quite rare (the Woolfs hand-printed and sold fewer than six hundred), Bosanquet’s essay has been included in the just-published Library of America collection of Henry James’s autobiographical writings—and we present it here in full to Story of the Week readers. Notes: The bold young critic referred to on page 737 is the novelist and journalist Rebecca West, whose first book—a critical study of James’s writings—appeared months after he died, when she was only twenty-three. Neil Paraday (p. 743) is a fictional author depicted in James’s story “The Death of the Lion.” Madame [Pauline] Viardot (p. 746) was a famous French mezzo-soprano. I knew nothing of Henry James beyond the revelation of his novels and tales before the summer of 1907. . . . If you don't see the full selection below, click here (PDF) or click here (Google Docs) to read it—free!